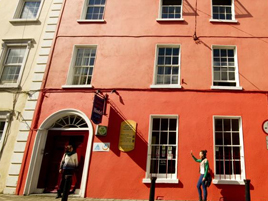 Cashel Holiday Hostel (CHH) is a well established family hostel in Cashel, Ireland. Centrally located, this renovated 250 years old Georgian house oozes charm and character. In our 3-storey hostel, there’s something suitable for everyone ranging from dormitories, private rooms and even deluxe apartments!